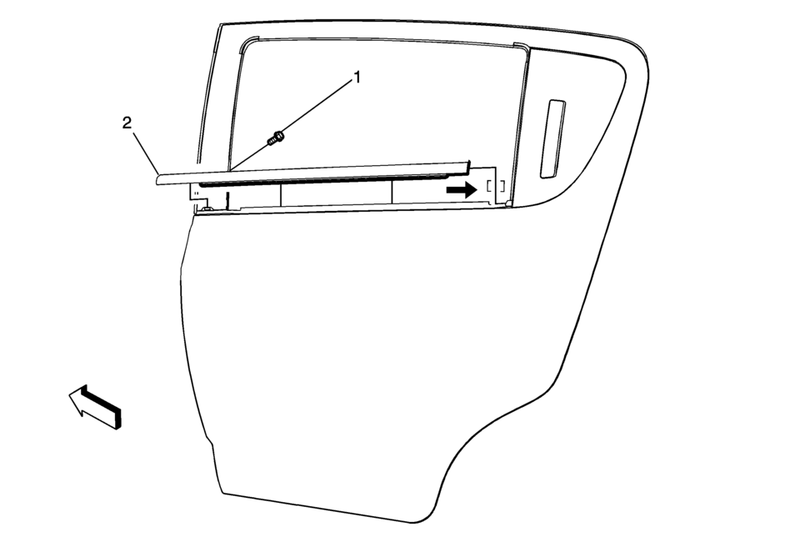 Open the rear door to the full open position to expose the rear side door window outer sealing strip screw that is located on the front inner edge of the door. Use the appropriate tool, lift the front corner of the sealing strip and pull upward and away from the door flange. Press firmly to insert the rear side door window sealing strip back on the door flange.